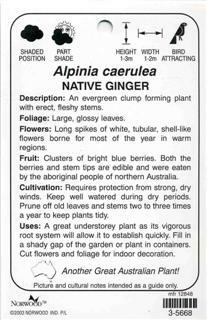 Description: An evergreen clump forming plant with erect, fleshy stems. Flowers: Long spikes of white, tubular, shell-like flowers borne for most of the year in warm regions. 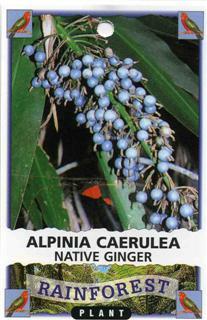 Fruit: Clusters of bright blue berries. 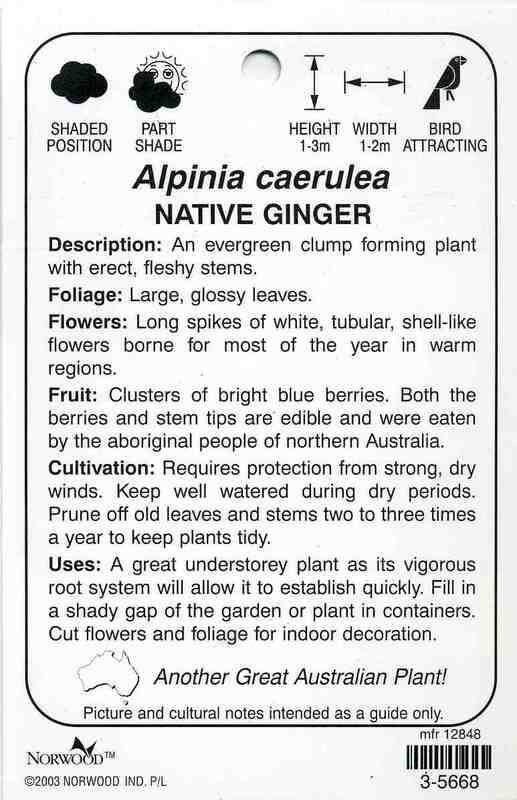 Both the berries and stem tips are' edible and were eaten by the aboriginal people of northern Aust ralia. Cultivation: Requires protection from strong, dry winds. Keep well watered during dry periods. Prune off old leaves and stems two to three times a year to keep plants tidy. 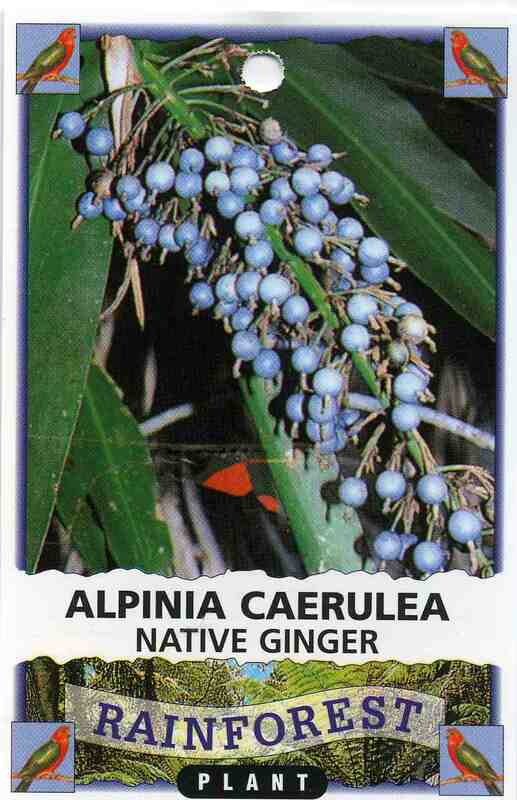 Uses: A great understorey plant as its vigorous root system will allow it to establish quickly. Fill in a shady gap of the garden or plant in containers. Cut flowers and foliage for indoor decoration.